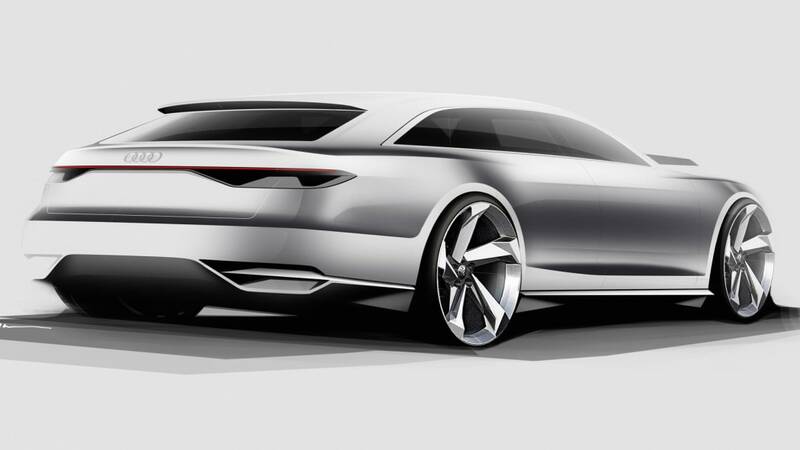 The Audi Prologue Avant Concept goes in a different direction than the Prologue coupe, in more ways than just its five-door wagon body. The coupe was first shown at the LA Auto Show with a 4.0-liter, twin-turbo V8, then went redux at CES as a hybrid with a total of 677 horsepower and 701 pound-feet of torque. 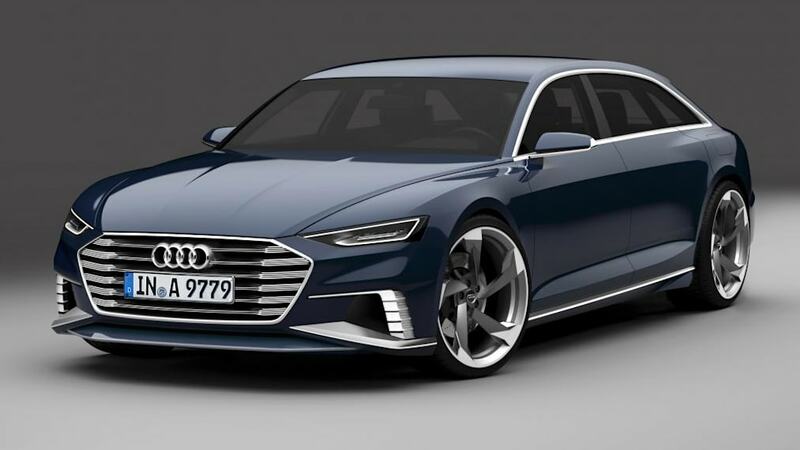 The only-slightly-larger Prologue Avant sticks with the hybrid but gets the system from the Q7 E-Tron quattro, meaning a 3.0-liter, twin-turbo V6 TDI with 353 hp and a 100-kW electric motor strapped to the eight-speed transmission. Total output is 455 hp and 553 lb-ft, pure electric range is 33 miles, and 0-62 miles per hour comes in 5.1 seconds. 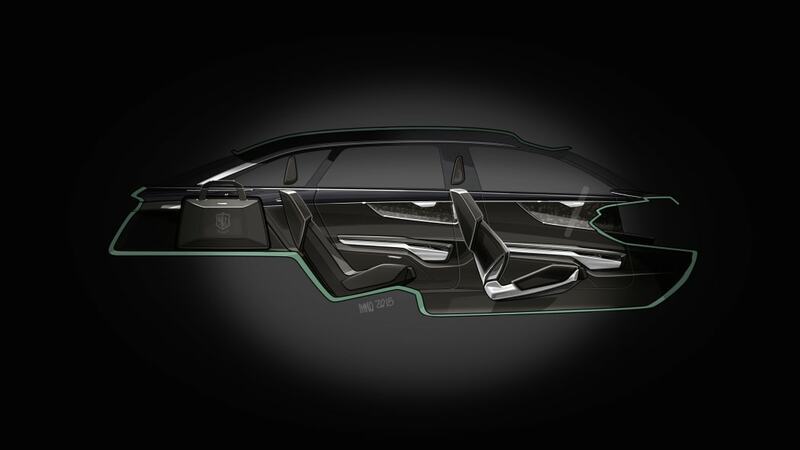 The forward section of cabin with its screen-based Tie Fighter displays and controls comes over from the coupe, as well as the four individual seats, but the Avant lavishes attention on rear passengers in ways not possible in the two-door. 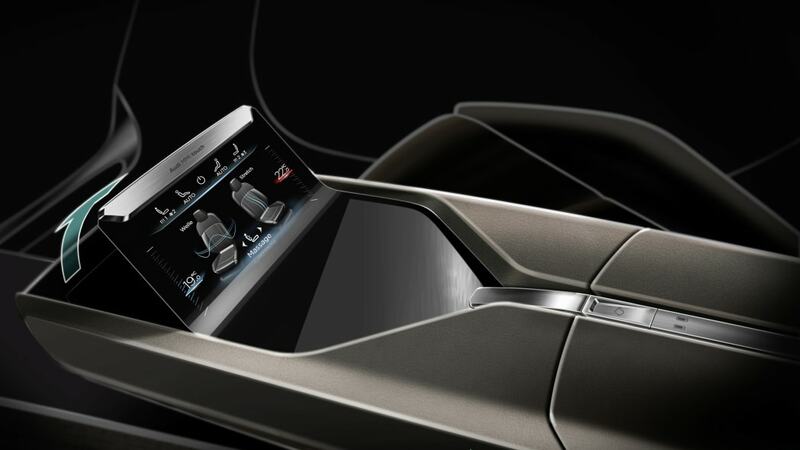 They also get a screen on the pass-through center console for convenience controls, and detachable OLED screens - a la the detachable tablets in the Q7 - with which they can send information to the front occupants. 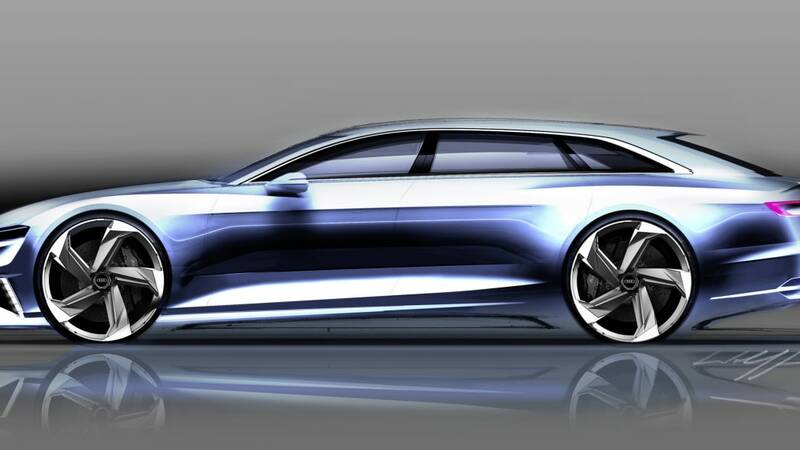 As a traditional Audi avant is to a coupe relative, the Prologue Avant is all about bringing the family along on the digital highway. 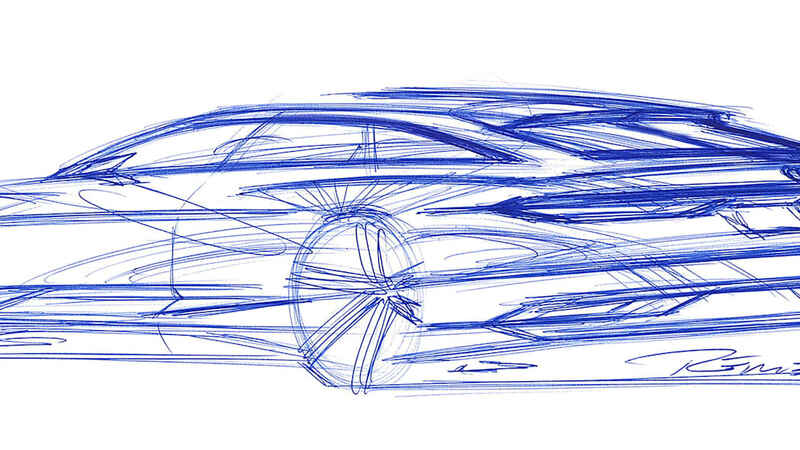 We'll see it at the Geneva Motor Show next week, and Audi is again talking up how the design language will migrate to production cars. 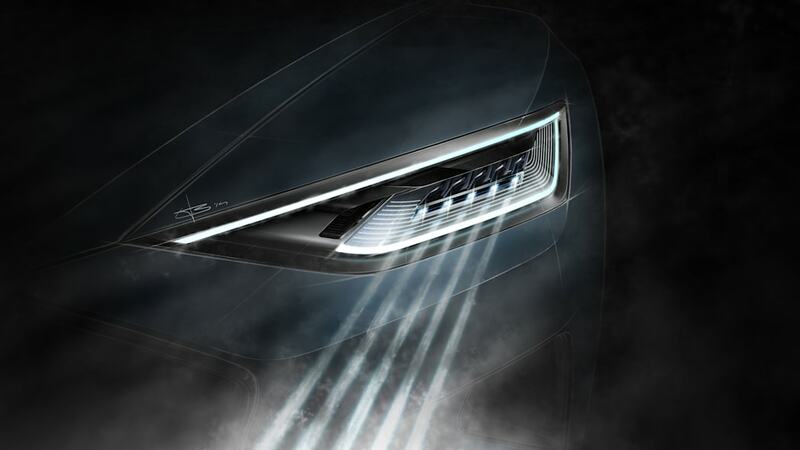 It also makes noises in the press release below about near-production many of the technologies are in the concept, so it looks like there could be all sorts of Easter Eggs on the way from the Ingolstadt brand. 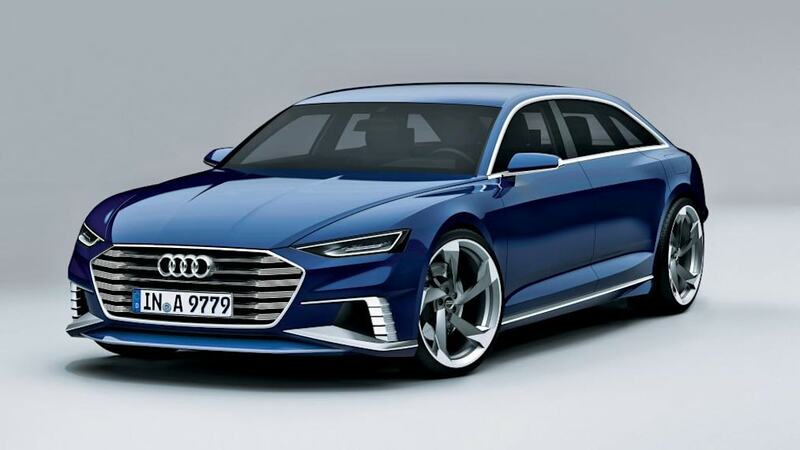 Ingolstadt, 2015-02-25 -- A design with dynamic elegance and the latest high end technologies: The Audi prologue Avant show car with its stretched roof which the brand is presenting at the Geneva Motor Show gives a look into the future – with the new and emotion filled design language that Audi has initiated with its study in the coupé, the prologue. 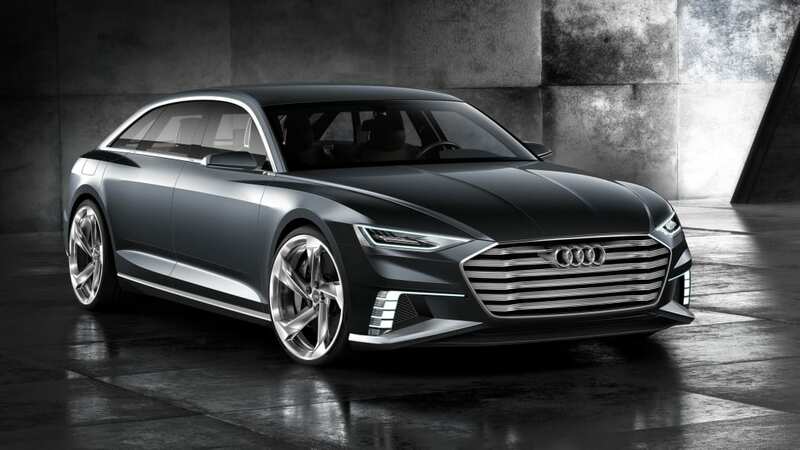 In November 2014 at the Los Angeles Motorshow, Audi presented the Audi prologue concept car, giving a look to the brand's future design language. Only four months later, the premium manufacturer is showing a variant of its visionary concept at the Geneva Motor Show. 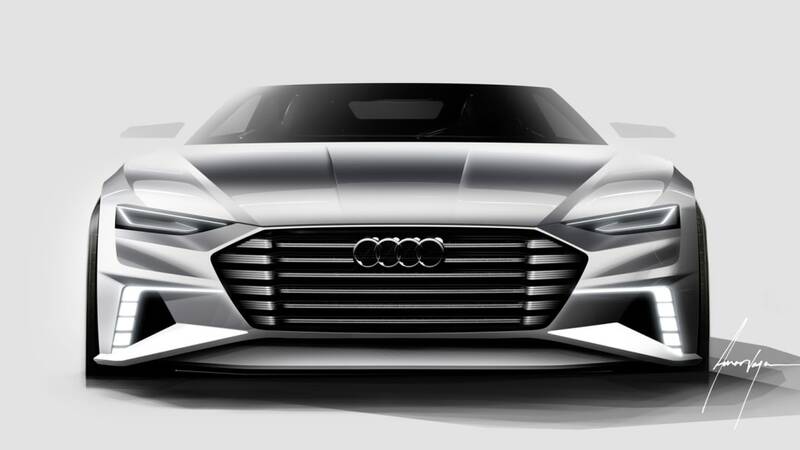 The Audi prologue Avant combines dynamics, form and function in a perfect synthesis. 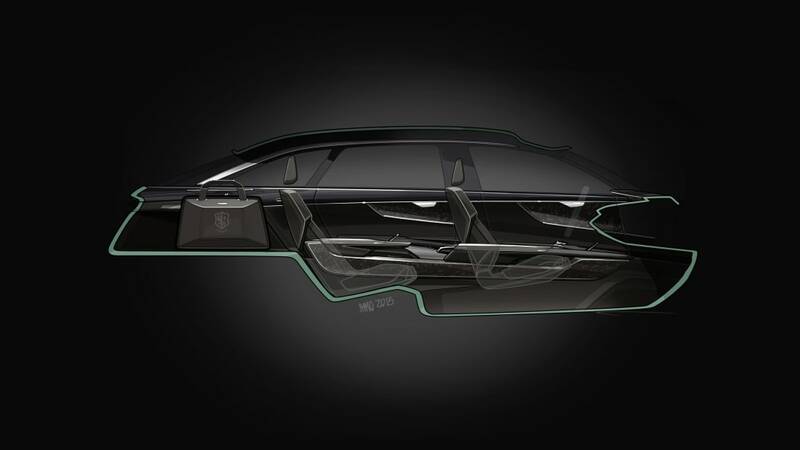 With a length of 5.11 meters (16.8 ft) and a width of 1.97 meters (6.5 ft), the five-door car with its pioneering body concept positions itself clearly in the luxury class. At the same time, it offers unmistakeable sportiness and variability. 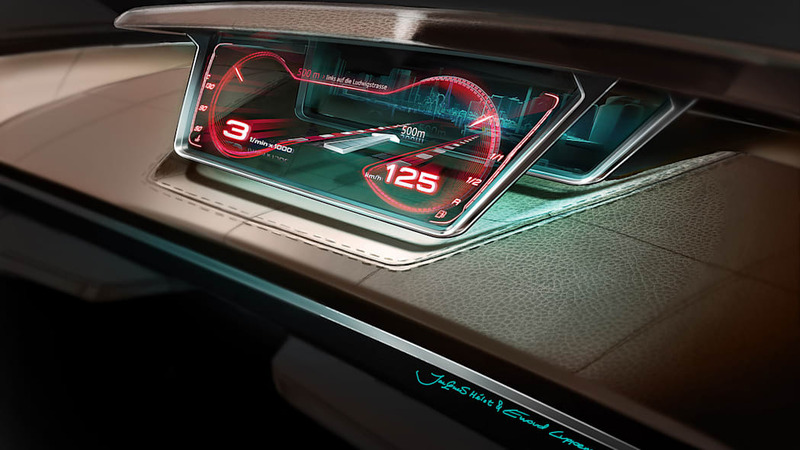 Technology is becoming an experience, both outside and inside: The driver and up to three passengers can enjoy a luxurious interior and are digitally connected thanks to a state‑of‑the‑art infotainment architecture and connect technology. 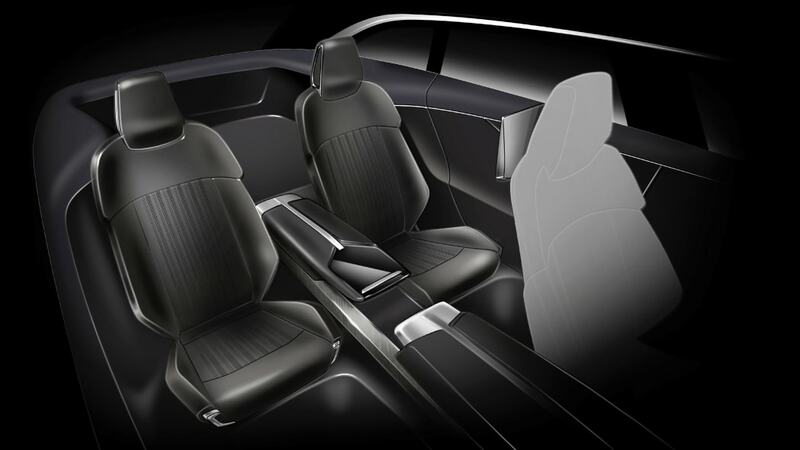 The luxurious interior is kept in dark shades. 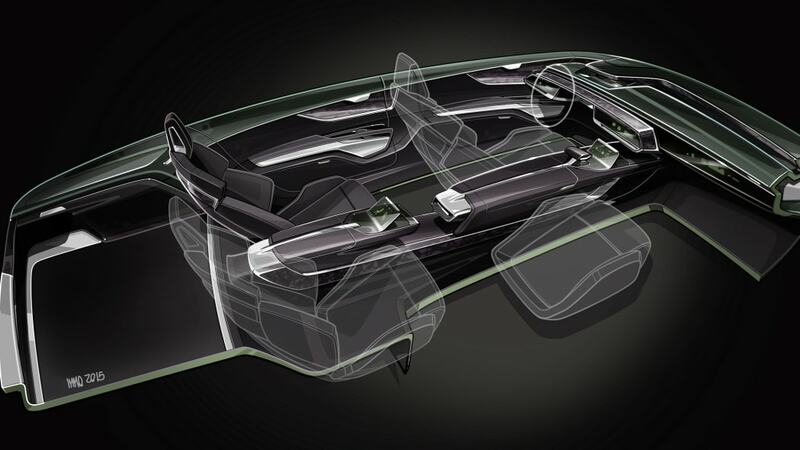 Here as well, the show car offers a new experience: The straight‑lined architecture forms one whole with its display and control concept. 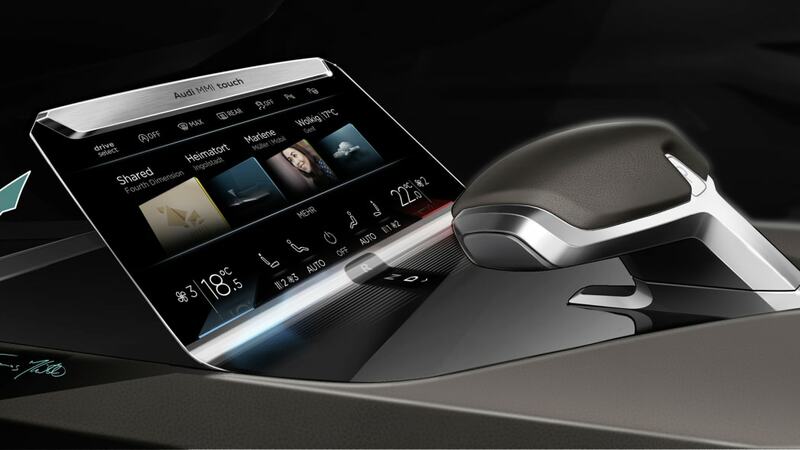 The consistent front of the dashboard is composed of three touch displays. 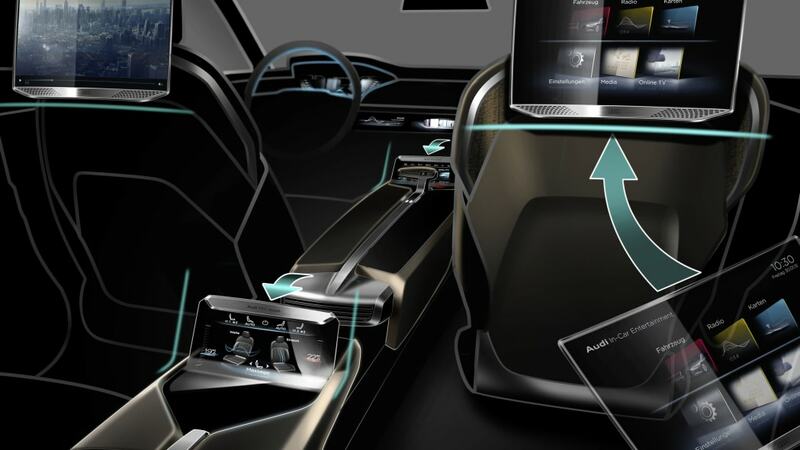 Moreover, the driver and up to three passengers can establish a digital communication via two OLED‑displays made from organic LEDs. 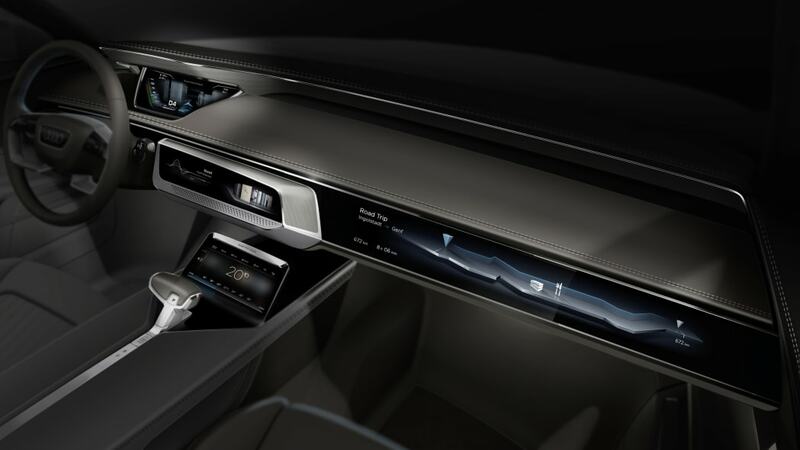 The extremely slim, detachable OLED displays in the rear – a spin-off of the Audi tablet from the new Audi Q7* – provide passengers with on-demand information and entertainment. 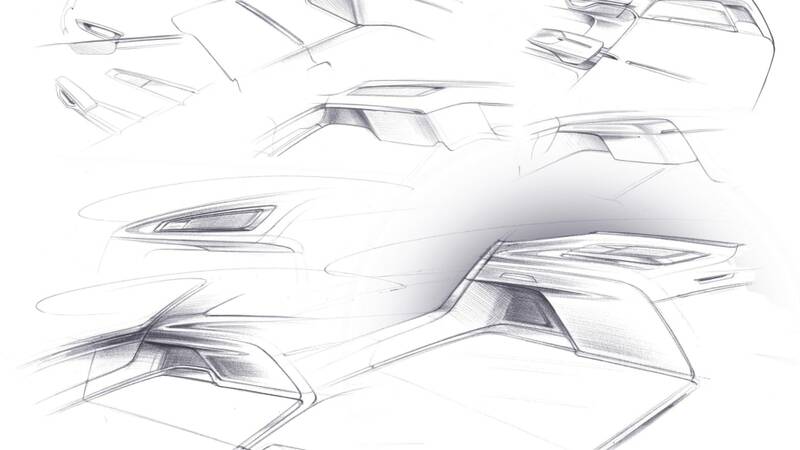 "With our show car for Geneva, we now translate the design language of the Audi prologue into a new, dynamic and stretched form. We are merging it with a concept of high variability", says Board Member for Technical Development, Prof. Dr. Ulrich Hackenberg. 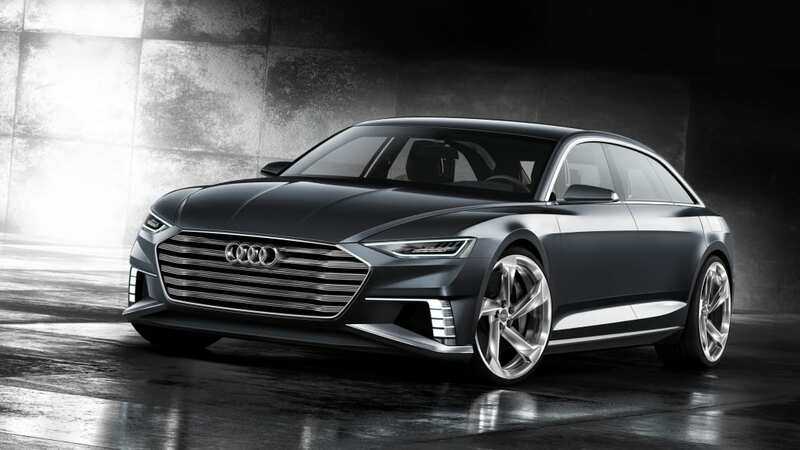 "The Audi prologue Avant is progressive, emotion-filled and versatile, it reflects Audi's technological competence and quality claim perfectly." 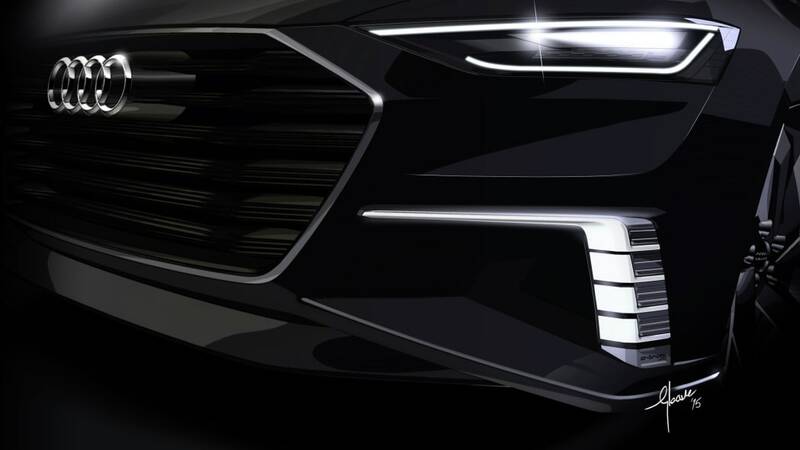 "With the Audi prologue, the prototype meter of our new design language, we have clearly pointed the way in esthetics. 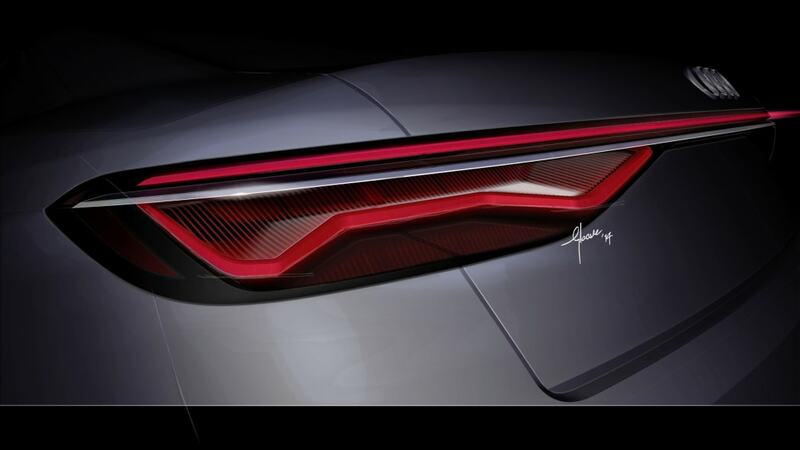 Now we are going one step further by presenting a concept which combines esthetics, dynamics and function in a fascinating way" – this is how Marc Lichte describes the character of the Audi prologue Avant. 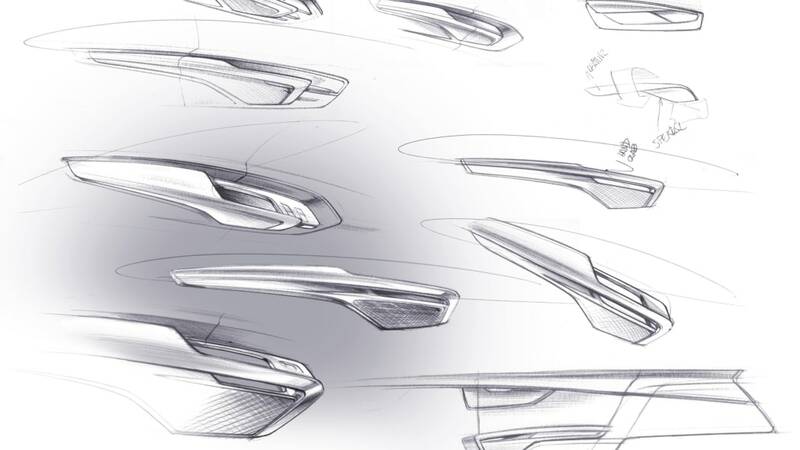 "The progressive body design expresses our technological competence and reveals the values which render our brand unique: sportiness, high-quality, progressiveness." 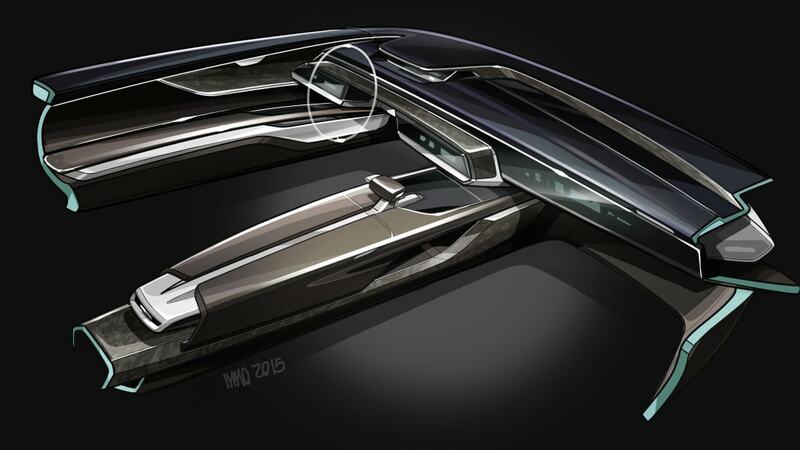 The Singleframe grille organically integrated into the car body dominates the show car's low front. 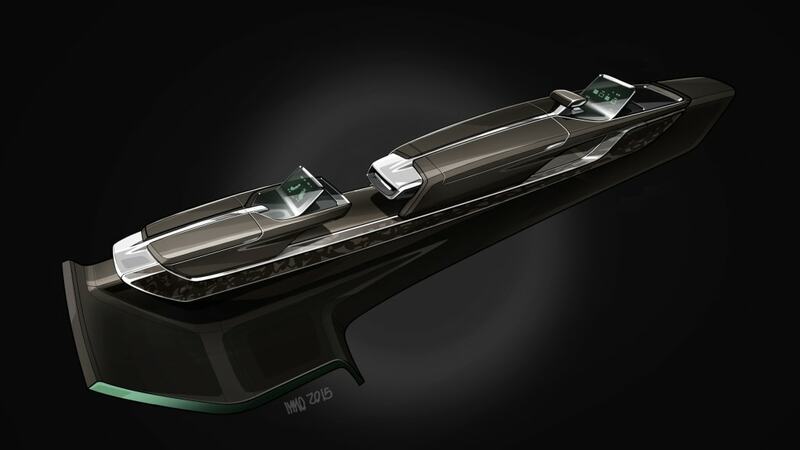 It is positioned lower and is designed much wider than in current production models. 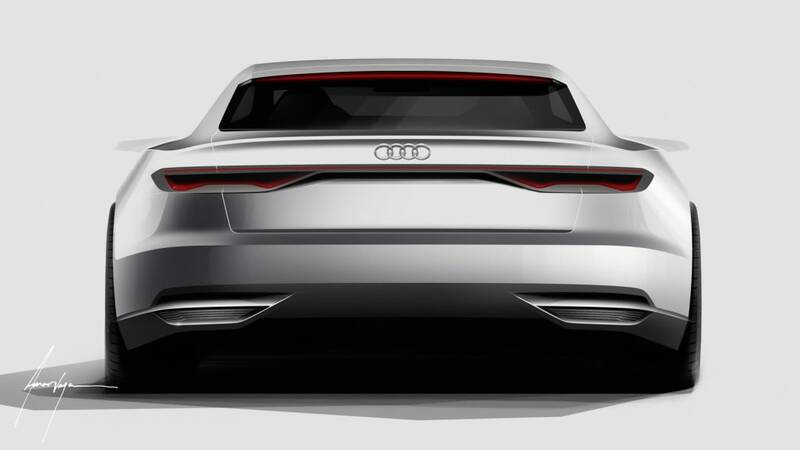 Its cross ribs made from brushed aluminum present a new variant of the e-tron look, providing a closed visual appearance. Towards the sides, they are slightly bent and forked. 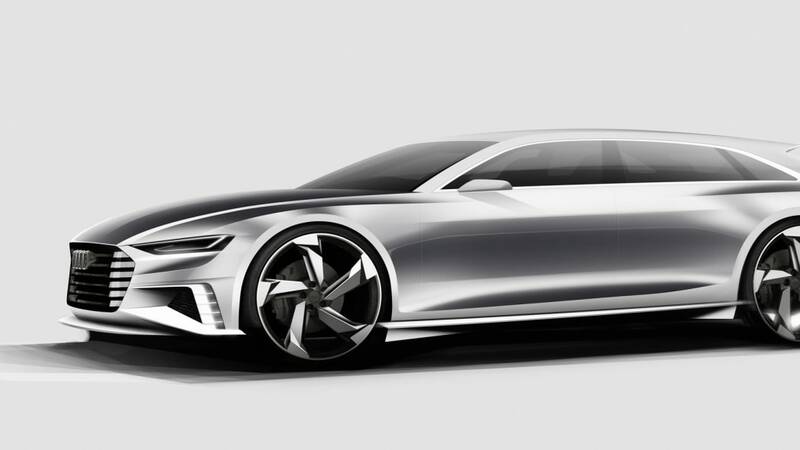 The wide, folded-out shoulders above the four wheels are inspired by the "blisters" of the Audi proto quattro dating back to the eighties. However, they were not just added on top with separate contours but have been smoothly integrated into the architecture. The shoulders swing smoothly over the wheels. The front shoulder carries on the edge of the engine hood, thus making it appear even longer. 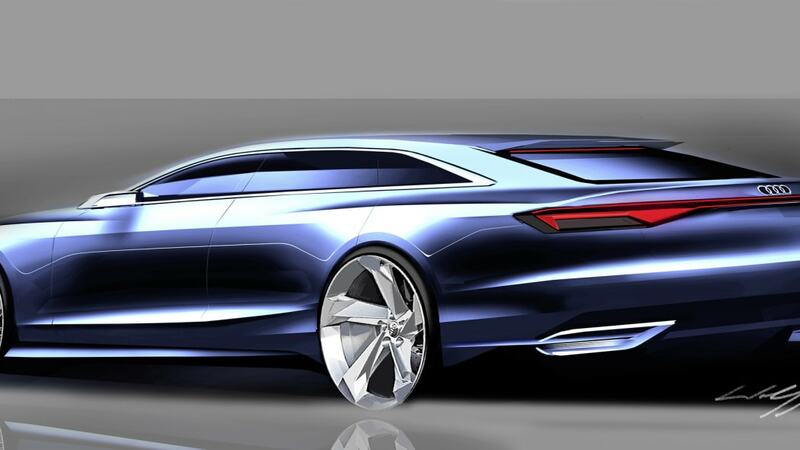 The long rear door emphasizes the luxury class character of the show car. The wheel houses are strongly vaulting out and carry wide wheel mirrors, thus visually reducing the metal volume of the flanks. They surround the mighty 22-inch wheels carrying size 285/30 tires. 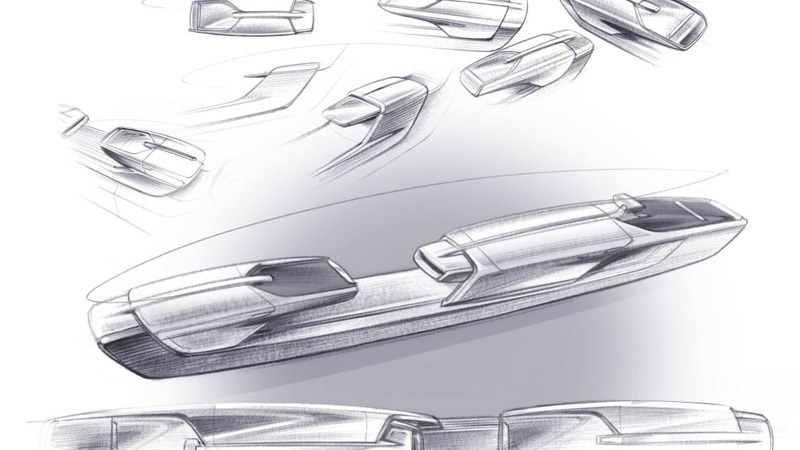 Their five arms with the edged, sharp-angled spokes present a further development of today's rotor design. 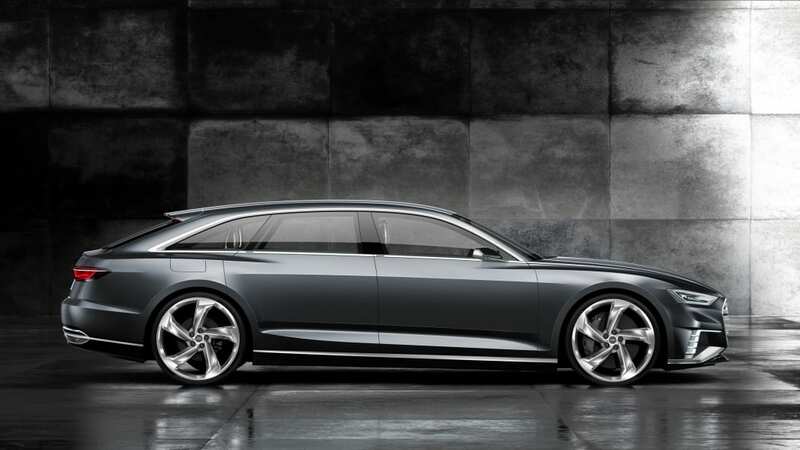 All of the interior details demonstrate Audi's high-quality design and uncompromising claim. A perforated trim panel covers the air vent; it moves down as soon as the air conditioning is set higher. The newly designed flat shift‑by‑wire selector lever for the eight-speed tiptronic is smoothly integrated in the center console. On the console of the center tunnel, there is another display for text entry, air conditioning and infotainment designed for the driver. It consists primarily of an extremely thin, bendable OLED film (OLED: organic light emitting diodes), and it displays extremely sharp images that are rich in contrast. When inactive, the OLED display is in a flat retracted position; as soon as the vehicle is started, it moves up at an angle. The curved display ensures a constant ergonomic distance to the driver's hand, his wrist calmly resting on the eight‑speed tiptronic selector lever. 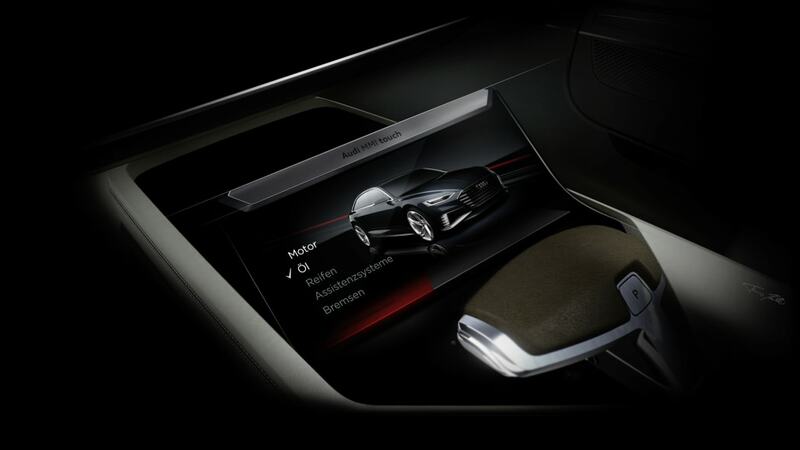 Within the driver's field of view lies the Audi virtual cockpit future. High-resolution displays and three mirrors generate a virtual visual stage with three levels. 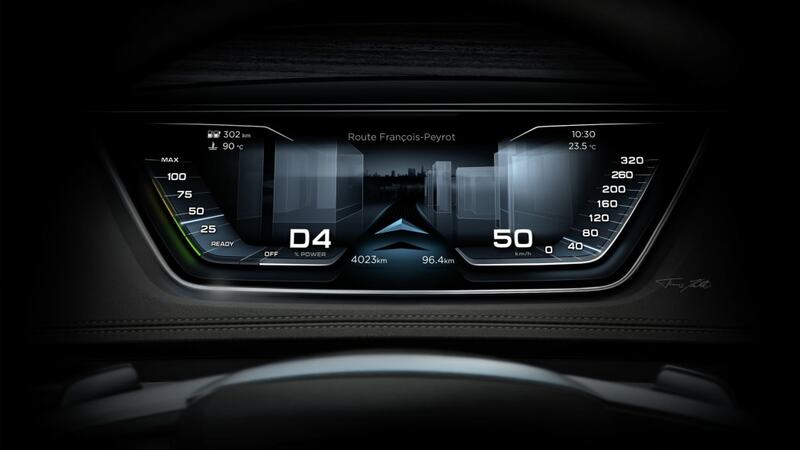 In the navigation view, for instance, the first level presents information that is important for driving; levels two and three generate the depth effect in the cockpit. Thanks to this staggered approach, information is structured better and is easier to grasp. 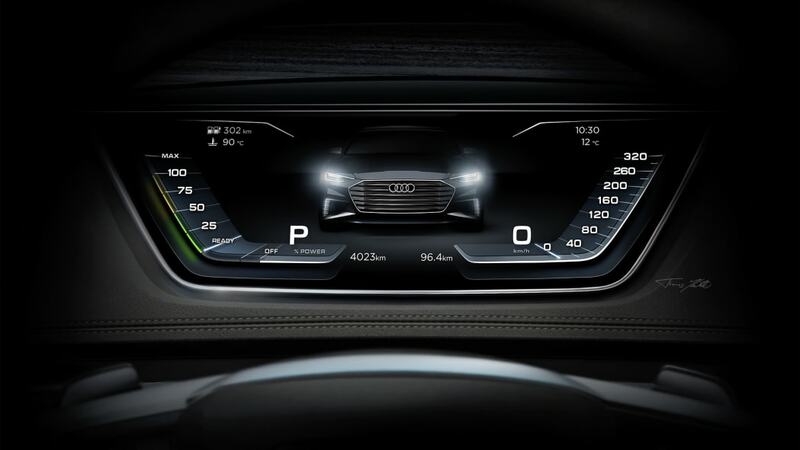 According to driving style, content and colors will change in the Audi virtual cockpit future – when driving tempers unleash, for instance, the display changes to sport mode. 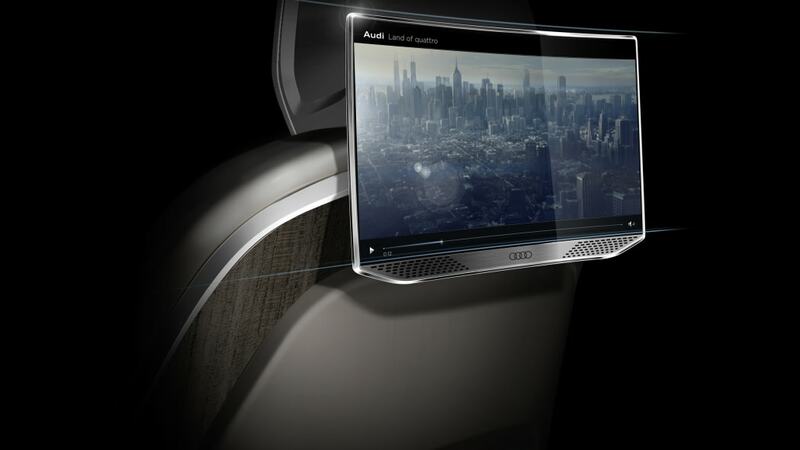 The rear passengers in the Audi prologue Avant use a flexible OLED display integrated in the center console which due to its bendable structure adapts its angle to the rear seat backrests' angle of inclination. 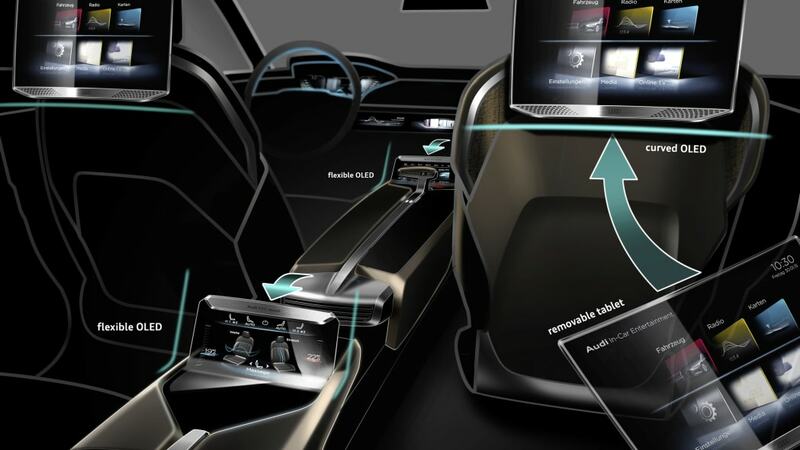 Using this display, settings such as seat adjustment, climate control, audio/video and ambient values can be controlled in the back of the car. Moreover, passengers can exchange data with the driver. When inactive, the OLED display lies flat in the center console. As soon as rear passengers get into the car, it moves up at an angle. 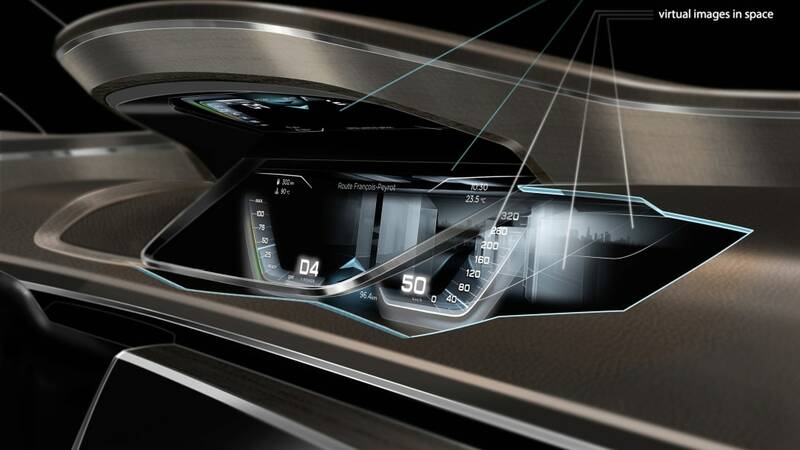 As with the OLED display in the front of the car, the curved display in the rear also ensures a constant and ergonomically ideal distance to the passenger's hand. 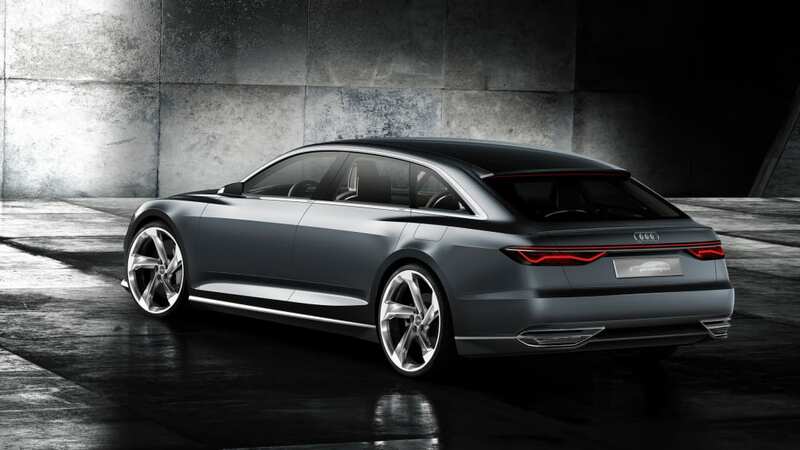 From the moment of getting into the Audi prologue Avant, the driver and the passengers can experience first-class comfort. 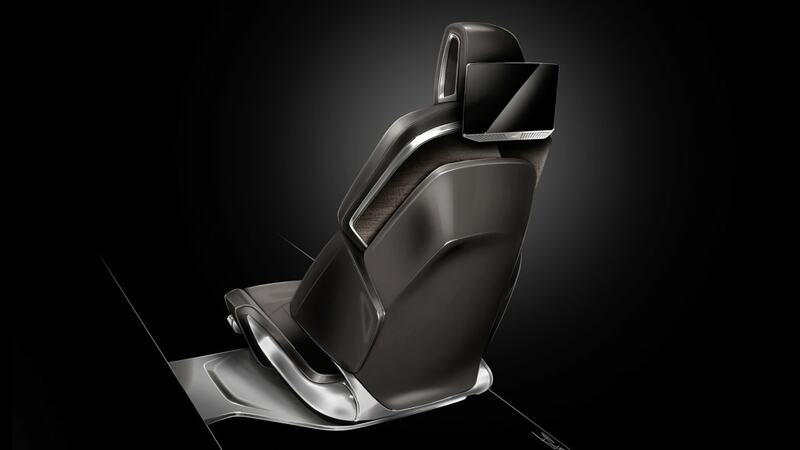 The "butler" – an innovative, intelligent software program – identifies them based on their smartphones and adjusts the seats and climate control system according to their preferences. The system also makes suggestions for music and route planning based on the owner's preferences. Cell phones can be placed in the two Easy Slot systems integrated in the center tunnel console. 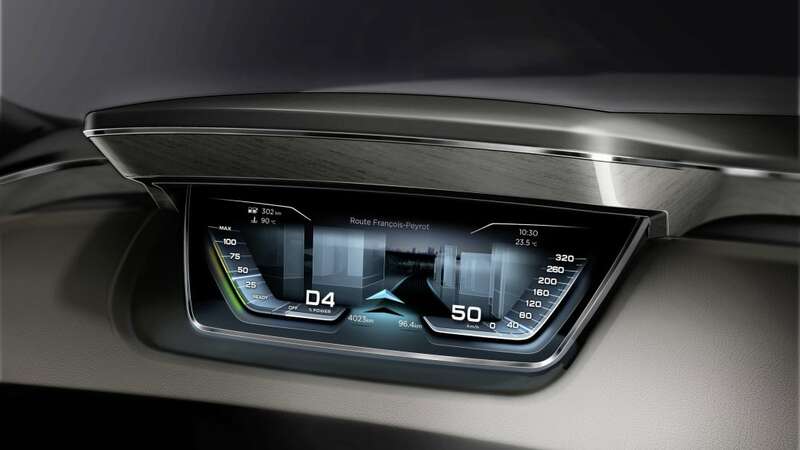 There they are linked up with the vehicle infotainment system and inductively charged.